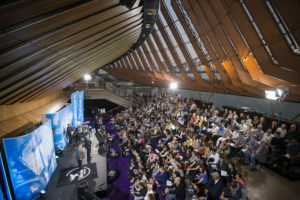 Australia is a popular destination for filmmakers. The outback, iconic beaches, world heritage listed sites, unique city skylines and recognisable landmarks make Australia a special place. But filming in Australia does come with some unique challenges, so it’s best to plan ahead. 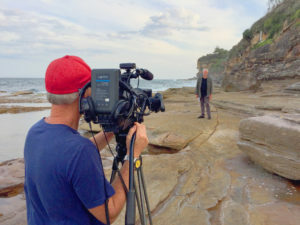 Here are some tips from the Australian Television and Media Group based on our experience working with international crew on projects ranging from documentaries, kids television and features. It’s important to consider the time of year and the region where you will be filming in Australia, as conditions vary with each season. Summer (December – February) is very hot and dry in most parts of Australia, with temperatures reaching 40°C / 104°F and above in some areas. There are typically about 14 hours of daylight per day during the summer months, with sunrise at around 5.30am and sunset from 8.00pm in Sydney (please see Time Zones section for daylight savings time). With high temperatures and dry conditions, bushfires (and heavy smoke) can be common so please note that in many regions it’s illegal to have an outdoor fire (campfire, BBQ, bonfire, back burn, pile burn etc.) between October and March without a permit. Autumn (March – May) sees the temperatures cooling down to an average of 25°C / 77°F and days beginning to shorten. Daylight Savings usually ends during this period as well. Sunrise is at about 6.30am and the sunsets from 5.30pm in Sydney. Moving into the colder months, filming around Australia is ideal, especially in rural and outback areas, as the cooler temperatures are easier to manage. It’s important to note that during these months there are a number of national public holidays which may impact your filming schedule. Winter (June – August) is quite cool for the locals, but mild for those used to European and Northern Hemisphere winters. Expect to experience fog and frost in the mornings that typically clears from 8am onwards. Snow is extremely rare throughout most of Australia so it is unlikely this will delay your shoot. Days are much shorter and night time temperatures can drop below 0°C / 32°F in some areas, with around 20°C / 68°F expected during the day. Sunrise is at about 7.00am and the sunsets from 5.00pm in Sydney. 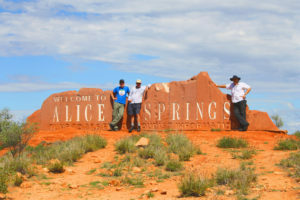 Spring (September – November) is when Australia’s native flora and fauna are at their best in rural and outback areas with natural shrubs and wildflowers coming into bloom – particularly in September. Temperatures are generally in the early to mid 30°C / 86°F range and will climb steeply, from around mid-October. Health warning: it’s important to always wear a hat and sunscreen when outside, even in winter months and on overcast days, to avoid sunburn. In the warmer months and particularly when filming in the outback, heatstroke and dehydration can be avoided by drinking plenty of water and staying out of the sun during the hottest parts of the day, which is generally 12-3pm. There are three main time zones in Australia; Eastern (Victoria, Tasmania, New South Wales, Queensland), Central (Northern Territory, South Australia) and Western (Western Australia). During Daylight Savings there are five time zones, with some states turning the clock forward by one hour in October and turning it back in April. Be sure to take this into account, when scheduling your shoot in Australia. Australia’s a big country – almost as big as all of Europe combined – so make sure you take this into account when scheduling a film shoot. Due to the long distances, it’s often best to fly between capital cities and drive to remote locations. There are no security restrictions or border control issues when moving between states although some agricultural areas prohibit bringing fresh fruit into certain regions, to help control fruit flies and other pests. This can be a minefield. Every state and territory has different filming and insurance requirements as well as local authorities who need to be contacted for permissions. The Australian Television and Media Group has filmed in every state and territory in Australia, so your best bet is to contact us so we can make it easy for you. Additionally, Australia has a mix of heritage sites, indigenous cultural sites and environmentally protected sites so it’s important to know the correct protocol when approaching these locations. For example, some Indigenous sites have cultural restrictions and some natural sites have environmental restrictions. It’s important to get this right, so drop us a line to discuss these protocols. Wildlife: Sorry but no, we don’t have kangaroos hopping down the main street (usually), nor do our children ride them to school. We do have some deadly snakes and spiders though and while it’s highly unlikely you’ll see them, it’s important to respect the fact that they exist. Again, it’s a good idea to get in touch with us on this topic, and we’ll let you know of any dangers you’ll need to consider when choosing your filming locations in Australia. Etiquette: Yes, Australia is a pretty relaxed place. The cultural expectations differ between cities and regional or outback towns where the locals tend to have more time for a chat. There’s nothing wrong with saying hello or G’day to someone, or asking for directions if needed – most Aussies will be friendly and happy to help. Manners are important (‘please’, ‘thank you’ and ‘excuse me’ are great) and waiting your turn in a line rather than cutting in is a big one. Mobile phones are widely used but it’s considered rude to speak loudly on public transport, in cafés and restaurants or when being served at a supermarket. It’s also illegal to use (or even touch) your phone while driving. Unless you’re an Australian or New Zealand citizen, you’ll need a valid Australian Visa to enter the country. You won’t need any vaccinations but if you’ve recently visited countries with instances of Polio, Yellow Fever and/or Tuberculosis you’ll need to contact the Australian Government for advice. Australia has a great health care system and if your country has a Reciprocal Health Care Agreement with our Government, some of your health care costs may be covered. It’s best to contact us so we can confirm the level of coverage provided. Travel and health insurance is always recommended! There are a number of mobile phone and internet providers and resellers to choose from. 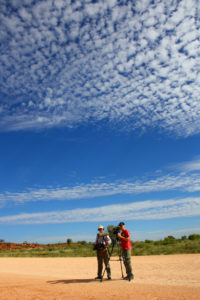 While all provide coverage in cities, metro and populated areas, some are more suited when filming in the outback. 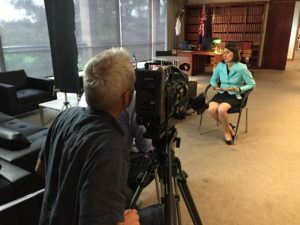 It is best to discuss your filming needs with the Australian Television and Media Group and we can make sure you get the best communications option for your shoot. In some remote, rural and outback regions, you may need a satellite or radio phone for communications. This can easily be organised by our production office. The local currency is the Australian dollar (AUD) and most stores accept VISA, Mastercard and AMEX. The Australian Television and Media Group has filmed in every state and territory in Australia. We know the ins-and-outs of scheduling and filming permits in Australian cities, outback towns, heritage listed sites and iconic locations. We can also help with crew, funding, tax incentives and co-production paperwork with countries that share production treaties. This article was published on The Location Guide (March 2018).